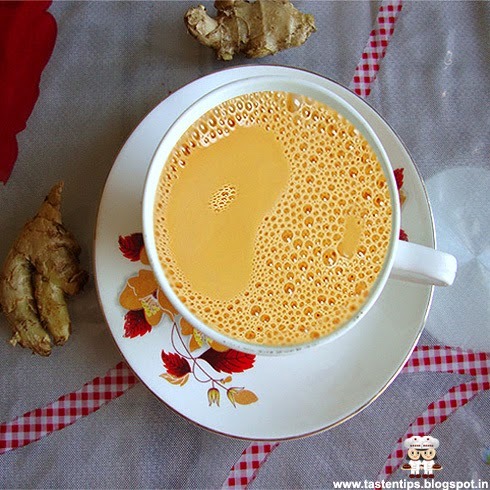 A perfect start for our day is to have a cup of hot and fresh tea, It relax, refresh, relieve and activate our body specially in this winter season and if it has taste, aroma of ginger then it would be awesome...Ginger also has a lot of health benefits. 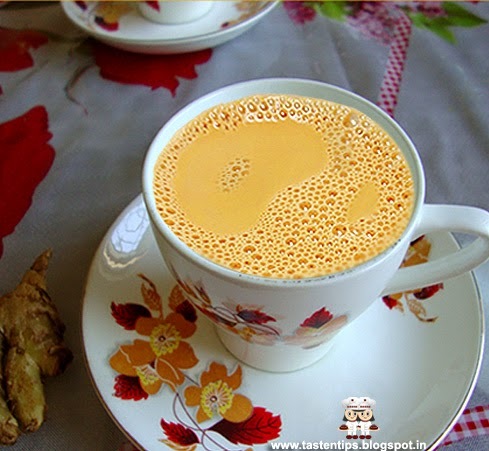 Ginger tea is a very popular Indian tea made from tea leaves and fresh ginger, also called adrak chai or adrak wali chai. The aroma, flavor and taste of ginger is something we are extremely fond of in our tea. You can have it with or with out milk, also make variations by adding mint and basil leaves. .....so lets enjoy this ginger tea which drives you away from the world for a second at least...!!! 1. In a kettle heat water, crushed ginger, boil it for 4-5 mins. 2. Add sugar, tea leaves and boil again for 2-3 mins. 3. Now add milk and boil for 2-3 mins. 4. Strain tea through a strainer right into the cups. 5. Hot and refreshing ginger tea is read to serve. 1. In place of regular milk, cashew milk or soy milk can be used. 2. Cardamom powder can also be used for more flavour. 3. Cinnamon, clove, mint, basil can be used to make variations. 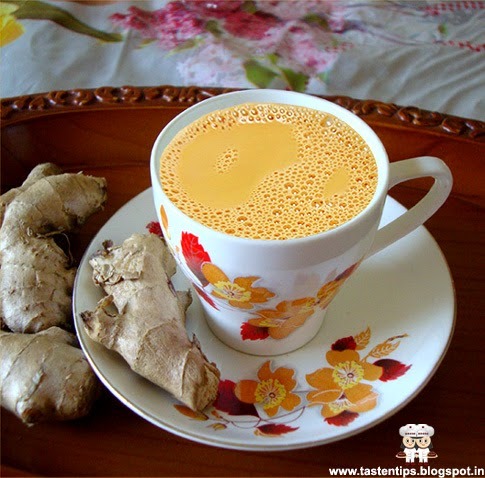 Ginger tea looks so inviting even to a non-tea drinker like me :) Beautiful pictures!! Tea looks wonderful. I just cannot resist tea..
A perfect cup of tea for this winter!!! Ginger tea always tempts me especially during the cold season and your cuppa looks very inviting! gorgeous pictures. very inviting -would love this ginger tea right now !